The Prvi Partizan is a 90-year-old company that has been a frontline producer in Europe for military and law enforcement since the very beginning. 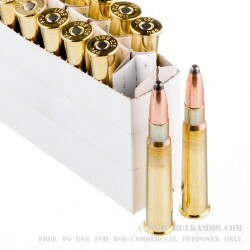 The Serbian based company generally produces high quality ammunition in standard military loads that are made to modern standards and have a high quality component mix. They offer a good price point for these mainstream cartridges and are one of only a handful of producers that produce foreign antique cartridge platforms for US market consumption. 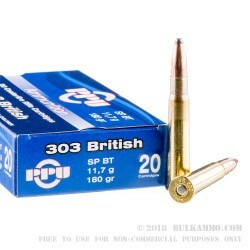 They have a long history of providing rounds that are popular in Europe but may not be so popular in the USA, as a new manufacture cartridge to the users of the sporting cartridges in the USA. 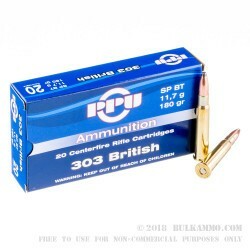 This .303 British ammunition is a good example of that reputation. While it may not be the most niche round in existence, the company provides a top quality version of it at a competitive price point allowing stalwarts of the platform an opportunity to still enjoy their favorite round easily. 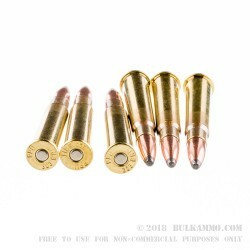 They also realized several years back that using easily reloadable brass, gives them a value add in the USA, and so they produce this cartridge in a Boxer primed brass case that features a 180 grain soft point boat tail projectile, which performs well for large game hunting and target/range type shooting.